Join Tara’s Email list to be informed about ADD / ADHD events and resources. Hi Tara I just wanted to email you and thank you for your podcast. I am 36 and found out 2 years ago that I have ADHD and have found your podcast extremely helpful. Your diversity in guests and the information that is discussed covers all areas that affect my life. I can't say I really have a favorite guest as they all offer something. Dr. Stephanie Sarkis and Ari Tuckman are quite enjoyable as their names come to mind first, but I really enjoy them all. I just thought I would thank you and let you know your podcast has had a positive impact on a fellow ADHDer. I am currently listening to your podcast as I am on a ferry in British Columbia. Once again thank you from a Canadian fan! Tara, your show has taught me so much. The first episode I found was on anger a few months ago. I have been listening ever since. I am an occupational therapist and neuroscience coach. I have begun infusing these ideas into my content. Thank you for sharing. 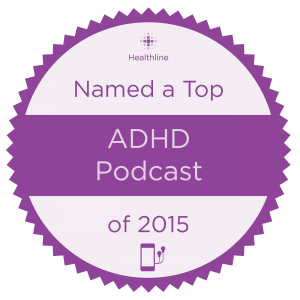 I so enjoy your podcasts and all the work you do to support the ADHD community. When you brought Lynne Edris on as your co-host podcaster, it was the greatest thing ever! She is my second favorite ADHD lady and feels like my ADHD fairy godmother.